The 2011 batch of Bravias has been kept back a little, but rather than herald the arrival of a new lineup of big, bold, competitive and cutting-edge flatscreen TVs. 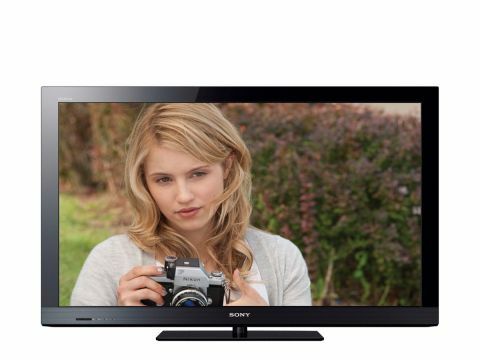 The Sony KDL-32CX523 32-inch LCD TV delivers purely as a good value package. And then some. A combination of a basic LCD panel with an integrated Freeview HD tuner ought to suit the mass market just fine and there are some surprising extras, such as smartphone app control, USB recording, wireless connectivity (via an add-on dongle), Bravia Internet Video (including BBC iPlayer, Sony's own Qriocity hub, and Lovefilm) and a new incarnation of the Xross Media Bar user interface (familiar to PS3 owners), alongside a full HD resolution. You won't, however, find 3D playback or 100Hz scanning. The KDL-32CX523 is joined by the 40-inch KDL-32CX523 in the CX range, the latter selling for around £700. That '3' on the end of the model number proves crucial, since Sony also sells the non-Freeview D-equipped CX520 series that, despite lacking Freeview HD, is only a shade cheaper (the 32-inch KDL-32CX520, for example, sells for around £650) and are otherwise identical in basic spec to the model reviewed here. The CX520 Series also includes the 37-inch KDL-37CX523. Next stop up on the Bravia bandwagon is Sony's Essential series; there you'll find LED backlighting, 100Hz panels and 3D capability, as well as Bravia Internet Video and an Opera web browser. The corresponding model, the KDL-32EX723, costs around £749 and is one of the smallest 3DTVs around. It's joined by the 37-inch KDL-37EX723 (£900), 40-inch KDL-40EX723 (£1,000), 46-inch KDL-46EX723 (£1,400) and 55-inch KDL-55EX723 (£1,700) models.